I absolutely loved Texas Gift! As someone who usually devours the Texas installments in a day, I savored this unexpected (but very welcome) addition to the Texas series over several days, reading just a bit at a time so I could spend more time with Riley and Jack and their friends and family. While a large part of this installment focuses on Hayley, it’s told from Jack and Riley’s perspectives, so we get to see how these two dads deal with watching their daughter make the transition from teenager to college student to wife to mother – oh yes, if you read the blurb, you shouldn’t be surprised that the Misters Campbell-Hayes become granddaddies. See? Perfect! Texas Gift is not a standalone book as this is a series that has built upon itself with each installment. Attempting to read it as a standalone will cheat you out of a full understanding of what Jack, Riley, and Hayley have endured and overcome to get to the events that take place in this book. Because the book spans a decade in the lives of the Campbell-Hayes family, there are too many events to discuss and/or risk spoiling by talking about them (especially as I’ve done enough potential spoiling in the first paragraph for those who didn’t read the blurb fully). 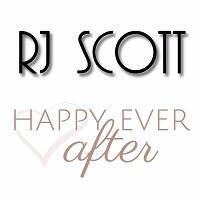 Suffice it to say, Scott treats Texas fans to the love, romance, and feeling of family I’ve come to expect from Jack and Riley, as well as a bit of mystery, action, close calls, and overcoming of the odds that I so enjoy witnessing when I open a book from this series. Generally speaking, I don’t enjoy books that make significant jumps in time in the storyline; however, Scott does an excellent job in clearly marking the jumps in time and does it in a way that I was never lost – but I can’t say that I wouldn’t have liked more as I do so love this family. Besides, this was a series that had officially ended with Texas Wedding, making Texas Gift the best kind of surprise. It certainly has an epilogue feel for the series, but I can always hope that Scott gets inspired to give us more of the Campbell-Hayes clan. Texas Gift is a must-read for Texas fans. 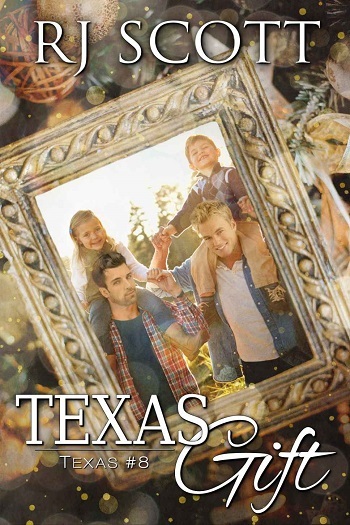 Reviewers on the Wicked Reads Review Team were provided a free copy of Texas Gift (Texas #8) by RJ Scott to read and review for this tour.